Amazon Japan recently announced a slate of new programming, including spinoffs of Kamen Rider and Ultraman for its video service—series that would, eventually, be making their way to U.S. Amazon users as well. Want to know more? 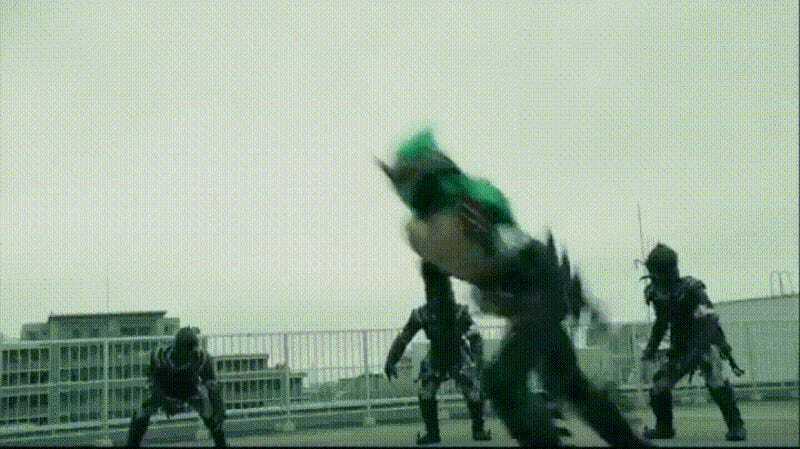 Well, now you can get a sneak peak of the surprisingly gory Kamen Rider Amazons in action. A much darker take than your typical Kamen Rider series—more intended for adult fans of the franchise than the usual child demographic—Amazons follows two masked riders, Haruka and Jin, dedicated to hunting down genetically engineered humans that transform into bloodthirsty monsters known as Amazons. Yes, lots of use of the word “Amazon” on a show airing on Amazon, but it’s actually because the show is loosely based on the 1974 series Kamen Rider Amazon. Kamen Rider Amazons is expected to hit non-Japanese Amazon services later this year.